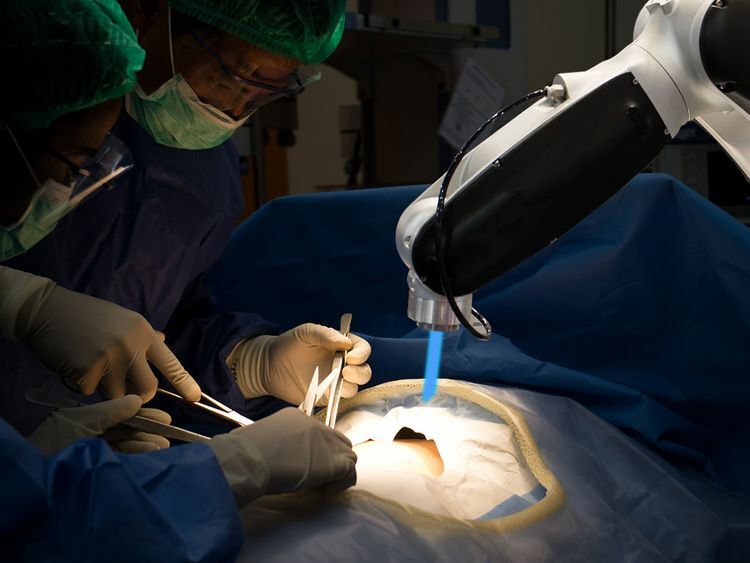 Abu Dhabi: Surgeons at the Cleveland Clinic Abu Dhabi recently performed the first robotic procedure to install a gastric pacemaker in the GCC, thus treating an increasingly common gastric condition known as gastroparesis. The condition stops the stomach from emptying normally because of damage to the nerve that controls the process. Patients therefore suffer from nausea, impaired digestion and gastric pain after meals, and can even experience significant weight loss. “Gastroparesis is a particularly difficult condition as its symptoms are closely associated with a number of more common illnesses. This means that we tend to see a lot of patients who have been suffering with a debilitating illness for years without an accurate diagnosis or appropriate treatment,” said Dr Matthew Kroh, chair of the Digestive Disease Institute at Cleveland Clinic Abu Dhabi. Gastroparesis is common among late-stage diabetics with poor blood sugar control, and the hospital sees around 50 patients each year in Abu Dhabi. But international experts believe that many patients with the condition may remain undiagnosed. “Although [it is still] rare, we are certainly seeing an increasing number of cases, due in large part to improvements in our ability to diagnose the condition,” Dr Kroh said. Dr Kroh installed the pacemaker, which provides small electrical charges to stimulate contraction in the concerned muscles. The pacemaker is connected to a battery under the skin, and the strength and frequency of its charges can be adjusted by doctors. According to research conducted by Dr Kroh, nearly 80 per cent of selected patients who receive a gastric pacemaker experience an improvement in their symptoms. Since the surgery is minimally invasive, patients are normally discharged a day after the procedure. While gastroparesis is a known complication of diabetes, the disorder is also seen among otherwise healthy adults, particularly women. For the purposes of diagnosis, patients are fed a simple meal, often eggs with toast, which is laced with a small amount of a slightly radioactive compound. Care providers then trace the speed of the passage of food through the digestive system to ascertain if there is any impairment. While medications may be used to treat gastroparesis, they can lead to significant side effects, thus necessitating the use of pacemakers or other surgical treatments for some patients.